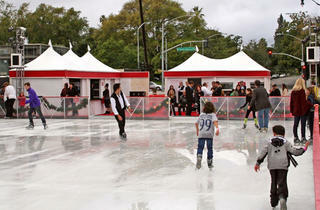 Beverly Hills debuts its first-ever public ice skating rink located across from the Beverly Hills City Hall building on Crescent Blvd, just steps away from the sparkling boutiques and restaurants on Canon, Beverly and Rodeo Drives. 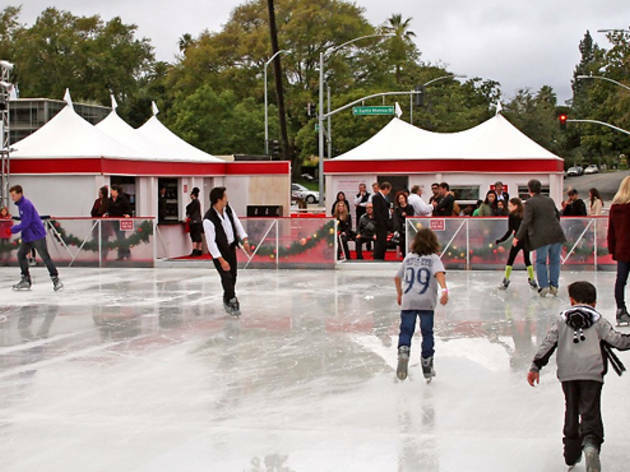 Rent skates and practice twirling, jumps and more during the hour-long skating sessions. If you're looking for extended skating time, book the final session of each day, which lasts 90min. In between each time slot, the rink is closed for 30min for resurfacing, giving each skater fresh ice to glide on. Plus, there's free two-hour parking at the nearby lot, located at 450 N Crescent Blvd—just be sure to get validated when buying your admission ticket from the ice rink's ticket booth. The rink will be closed on select holidays, including Christmas Day. Check the website for the full schedule and details. This was only in 2012!!! It does not exist this year!!!!!!!!!!!! !